Dr. Miriam Nelson is a prominent women's health advocate and best-selling author of the acclaimed Strong Women book series. 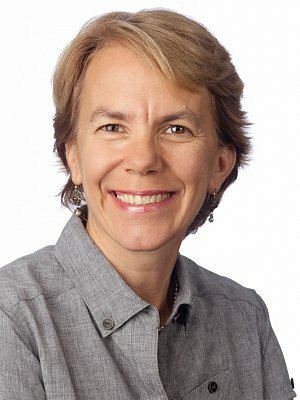 She serves as Director of the John Hancock Center for Physical Activity and Nutrition at the Friedman School of Nutrition Science and Policy at Tufts University. She is a perfect keynote for hospital groups and women's health events. Dr. Nelson is a visionary researcher with an infectious enthusiasm for a topic that has received too little attention: women's strength and its relationship to overall health. For the past 15 years, she has been the principal investigator on a range of important studies into exercise and nutrition. A professor of Nutrition Science and Health Policy and a fellow of the American College of Sports Medicine, Dr. Nelson is masterful at communicating to audiences and is popular with the mainstream media. She has appeared on The Oprah Winfrey Show, The Today Show, ABC's Good Morning America, CNN, NPR's Fresh Air and The Discovery Channel. She has appeared in her own PBS special, "Strong Women Live Well," which focuses on the benefits of exercise and nutrition for women's health. She is currently working with the Centers for Disease Control and Prevention to bring safe strength training classes to women across the country. Her books include Strong Women Stay Young, Strong Women Stay Slim, Strong Women Eat Well, Strong Women Strong Hearts and Strong Women and Men Beat Arthritis. Her book Strong Women, Strong Bones received the esteemed Books for a Better Life Award from the Multiple Sclerosis Society. All have been national bestsellers. Her writing has appeared in the Journal of the American Medical Association, the Journal of Gerontology and many other scientific publications, and she has been profiled in such mainstream magazines as Time, Biography and Eating Well.